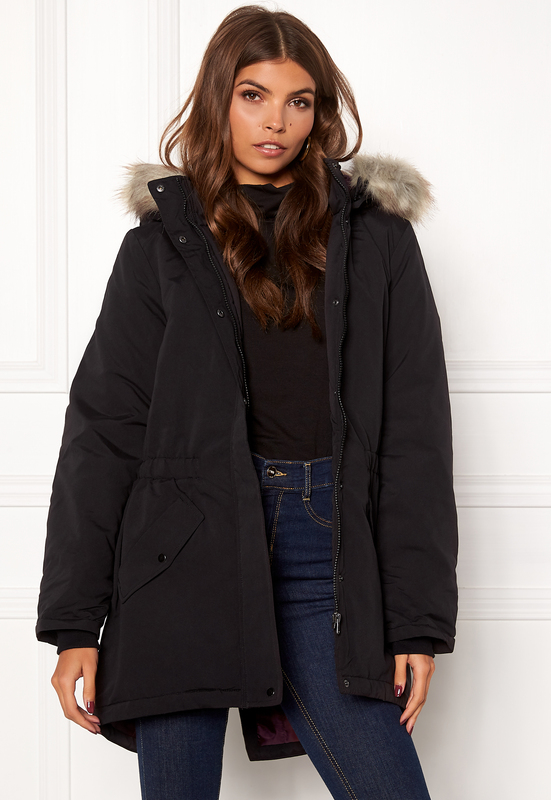 Gorgeous jacket with a faux fur collar from JACQUELINE DE YONG. . 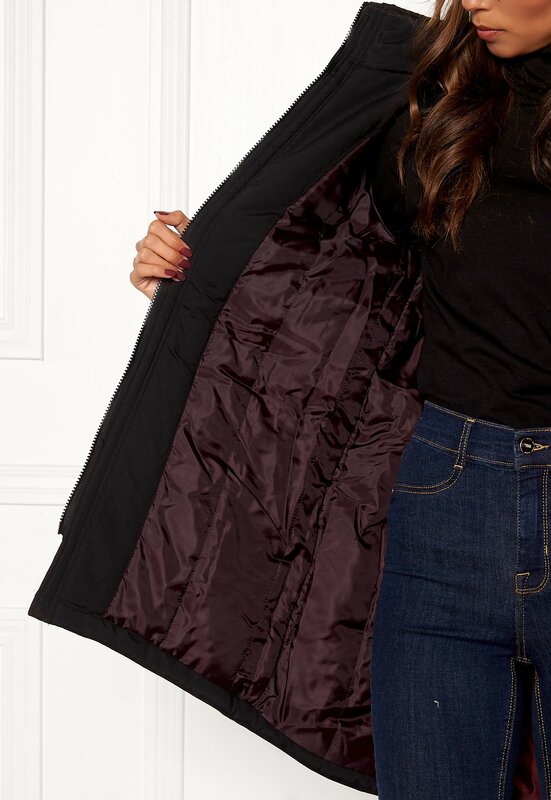 The jacket has a classical design and is elasticated at the waist. - Zip with buttons at the front - Two front pockets with buttons - Emphasized and elasticated waist - Hood (not removable) with a faux fur collar (removable) - Slit at the back hem - Cuffs at the wrists - Lined Back length from shoulder 81 cm, bust 102 cm, sleeve length from shoulder seam 60 cm, in size S. The model is 174 cm tall and wears a size S. Machine wash at 30 degrees.